With permitment from the original source: VOLVO CARS SWEDEN - Newsdesk, Corporate Communications. 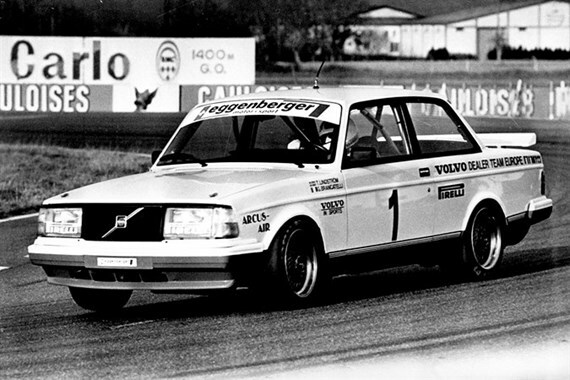 30 years since the Volvo 240 Turbo reigned over the race tracks of Europe. ​​When Volvo launched its 240 family car in 1981 with a turbo engine, it opened up a whole new market for the company. It demonstrated that Volvo was capable not only of building safe, durable cars, but that they could also be fast and fun to drive. With turbocharging, the robust B21ET 2.1 litre engine generated 155 hp, which meant the 240 Turbo could do 0-100 km/h in 9 seconds and had a top speed of 195 km/h. The 240 Turbo Estate was the world's fastest estate car. 1984 was the year in which the 240 Turbo began to compete for real in Group A racing. Volvo was responsible for the construction and ensuring that the required components were uniform. Competition was handled by independent teams. The first year's dividend was two wins. 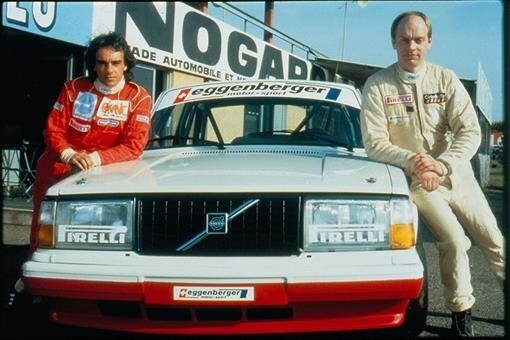 Swedes Ulf Granberg and Robert L. Kvist won in the ETC event at Zolder in Belgium, while compatriot Per Stureson won at the German Norisring track in the first season of DTM. Volvo's focus expanded in 1985. Now two teams were contracted to operate as a factory team. These were intended not only to beat competitors such as Rover and BMW, but also to compete against each other. The other team in ETC was Sweden's Magnum Racing. Ulf Granberg, Anders Olofsson and Ingvar Carlsson were their ​drivers. In addition to this, IPS Motorsport competed in DTM. Per Stureson had been provided with a new, competitive car for the nascent season that offered more power and better handling. Initially, competitors and audiences found it hard to take the blocky Volvos seriously. But "the flying bricks" would soon prove their competitive edge - despite lining up against cars with significantly bigger engines like the Rover 3500 V8 and the BMW 635. 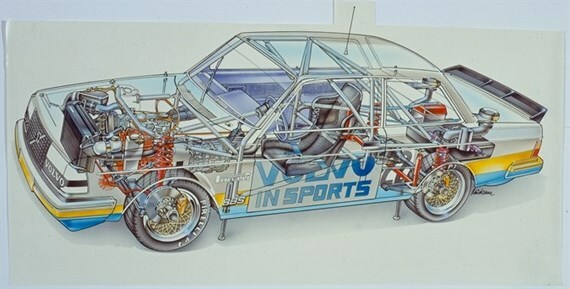 The interest in Volvo's Group A story in the 1980s has grown ahead of the 30th anniversary of the title victories in 1985. This includes celebrations that took place at the world's biggest Volvo gathering - VROM - in Gothenburg in August. Always interesting reading about the Group-A cars! I saw this written in Swedish, I'm glad it got translated. Good read! Thanks for posting! Too bad it was also the last year for the Turbo cars! What a mistake! Ok, not trying to bring this back from the dead, does anyone know what an X in the 9th position means on this 83 242 GLT flathood? Mine is stamped S02576. Supposedly it should indicate gearbox/ check code? It's am m46 so this digit should be a 2? Anyone else have one of these with an X there, or know the significance? Hey mike, yeah, that was a typo, reads S02476. And the x is just a check digit. Not sure if there were 5000 (37.2% of the 13429 made) or 500 (3.7%) but it's sure fun reading the debate. Wow impressive now I'm really hooked with my brick!!! !